This review is for Blanchard's dealings over several years with my father in law when he was in his very late 80's. They took advantage of him in every way possible, sold him overpriced coins, churned his account and talked him into unnecessary and unwise purchases. Generally, based upon my review, they marked up sales to him by 30-100% over wholesale. 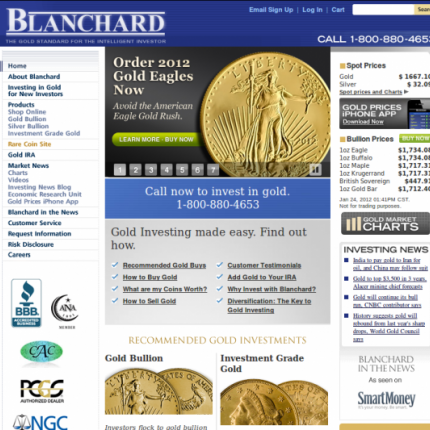 No one should do business with Blanchard.